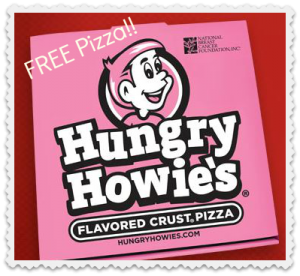 Just a reminder, you can get FREE Hungry Howie’s Pizza when you “like” them on Facebook! The coupon will be e-mailed to you, but go ahead and “like” them because offer ends 10/17. Also, make sure to check out $10 Off at P.F. Chang’s or Buca di Beppo for a special night out or a B1G1 breakfast from Bob Evans.